6 Mile Bay, Devils Lake, North Dakota! It's Time for the Annual Bismarck Tribune Sport Show! Support Sport Fishing in North Dakota! Call 1-800-767-5082 or (701) 255-3031 to start you subscription today! 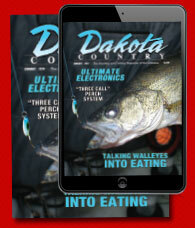 Dakota Tackle's RED TAG SALES EVENT Going on Now! 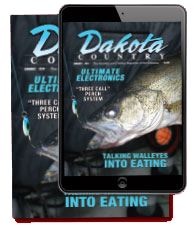 North Dakota's Largest Tackle Shop! 9th Annnual Ice Fishing Tournament & Raffle! Benefiting the adaptive programs at BWP. Jamestown Sport & Recreation Show! Cabin Fever Camper Sales Event! The areas largeset destination sale! 8th Annual Ice Fishing Tournament and Raffle! Brainerd Jaycees $150,000 Ice Fishing Extravaganza! 26th Annual with $200,000 in Prizes! 22nd Annual Nodak Sportsman's Club and Lincoln Sportsman's Club Fishing Derby. Discover Beulah and Lake Sakakawea... It's All Right Here! The Little Bar & Grill Annual Walleye tournament.